IPL PhotoFacial can do wonders to your skin. 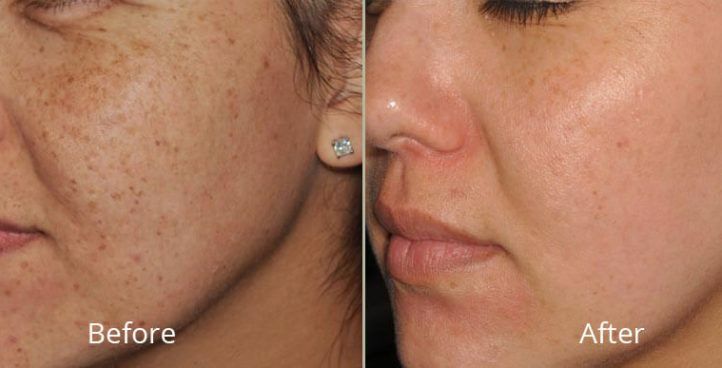 This treatment improves the appearance of photo aged skin, removes sun spots, freckles, brown pigments, hyper pigmentation and redness caused by broken capillaries. The process is ideal for patients with active lifestyles because the procedure requires no downtime and has a low risk of side effect. This non-invasive, gentle approach uses targeted flashes of light to treat dilated and broken blood vessels without injuring the surrounding healthy skin. Light of several wavelengths is shined on the skin. Dark spots and blood vessels selectively take up the energy from the light which allows for their removal. This leaves the skin with a more radiant appearance. In addition, the light energy may lead to increased collagen production which is thought to improve superficial wrinkles. How long does the procedure take and how many will I need? We determine an IPL treatment plan for each patient, taking into account the number and severity of skin conditions being addressed. On average, a series of four to six treatments is recommended, scheduled at two to three week intervals. Each session usually lasts about 20 minutes, with patients returning to normal activity immediately. By dividing the full program into several sessions, IPL treatments provide gradual, natural improvement with excellent long-term results.